As the very first part of the interior of your home that visitors see, your entryway makes the first impression of your home. It gives visitors an instant sense of your personal style aesthetic and it offers some clues about your home and lifestyle as a whole. The ideal entryway is one that is both stylish and functional and that makes you feel glad to be home the instant you open your door. Keep reading for some considerations that you’ll want to think about before you begin your entryway makeover. Begin your entryway makeover by thinking about the overall style of your home. If you’re in the process of completely redecorating, then think about the style that you want to convey with your entryway. If you’re considering a cozy, comfy style, then items like a cushioned bench or storage items like woven baskets might be a great place to start. For an entryway that gives off charming, romantic vibes, look for pieces of furniture like a distressed dresser or vanity and be sure to include a vase of fresh flowers and an antique mirror. How Large is Your Entryway? 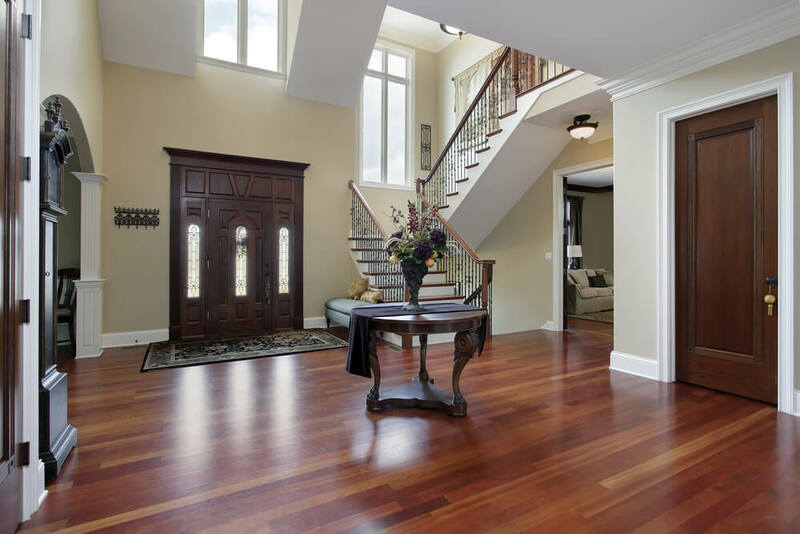 Aside from deciding on the style for your entryway, the actual size of the space is the most important consideration. You want to create a space that makes a statement, but not at the cost of making the area uncomfortable. Even the smallest of entryways can be unique and showcase your personality, but you will certainly have to make any necessary adjustments. Items that add impact without taking too much space include chandeliers or sconces, potted plants and small, thin tables or consoles. If you really have just a small amount of wall to work with, paint it a bright color and add a piece of art that you love for an instant makeover. If you think that storage and style can’t go together in your entryway, think again; it’s completely possible to create a great first impression and including functional storage in your entryway. One of the most popular pieces of furniture for serious storage and style is the hall tree. You can find hall trees that are tall and narrow with a minimalist vibe or that have benches or tons of spaces for stowing items like keys, shoes and umbrellas. When it comes to making over your entryway, your options are limited only by your imagination. It’s important to be aware of how much space you really do have, and then knowing how to maximize that space by using pieces of furniture like thin tables or a hall tree. Your entryway is your chance to make a great first impression, showcase your personal style and create a space that welcomes you home every time you open your front door.